What is a systematic theology? Many different definitions have been given, but for the purposes of this book the following definition will be used: Systematic theology is any study that answers the question, "What does the whole Bible teach us today?" about any given topic. This introductory textbook has several distinctive features: a strong emphasis on the scriptural basis for each doctrine; clear writing, with technical terms kept to a minimum; and a contemporary approach. 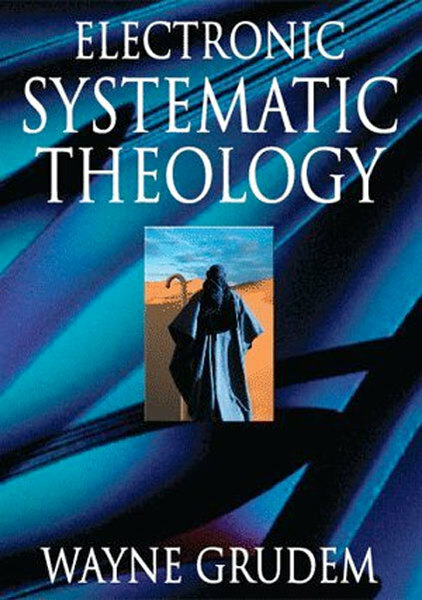 View this video on What is Systematic Theology by the author. A strong emphasis on the scriptural basis for each doctrine and teaching. Clear writing, with technical terms kept to a minimum. A contemporary approach, treating subjects of special interest to the church today. A friendly tone, appealing to the emotions and the spirit as well as the intellect. Resources for worship with each chapter. Bibliographies with each chapter that cross-reference subjects to a wide range of other systematic theologies. Widely read and very well accepted, this systematic theology has been recommended enthusiastically by writers, speakers, and pastors alike. Here are a few of their endorsements. Wayne Grudem understands that every Christian "does theology," that doctrine inevitably finds its application in the believer's life. Clearly written, this volume demonstrates an appreciation for the rich diversity of traditions within the body of Christ while at the same time reminding us that our faith is rooted in historic Christian truth. Systematic Theology is remarkable for its extraordinary juxtapositions. It is penetrating but not confusing; forthright and unequivocal but not reckless or overstated; readable and clear but not superficial; biblically grounded, even biblically saturated, but not textually careless or glib; devout and reverent but not uncritical or naive; practical but not trendy or sentimental; comprehensive but not majoring on minors; a book for the church but not parochial or sectarian. I expect to turn to it for decades. Grudem has opened the windows to let fresh air blow away mustiness and permit the Holy Spirit to infuse soundly biblical, clearheaded evangelical theology with new life and power. Wayne Grudem (Harvard, B.A. ; Westminster Seminary, M.Div. ; Cambridge, Ph.D.) is research professor of Bible and theology at Phoenix Seminary in Scottsdale, Arizona. Previously he was chairman of the department of biblical and systematic theology at Trinity Evangelical Divinity School in Deerfield, Illinois, where he taught for twenty years. He is a past president of the Evangelical Theological Society, a member of the Translation Oversight Committee for the English Standard Version of the Bible, and a former member of the Speaker Team for FamilyLife. He has written more than sixty articles for popular and academic journals.